Many a concoction fall under the category of cocktail or beer. From traditional to specialized beverages, these popular libations are mainstays at parties, celebrations or as go to elixirs for unwinding and relaxing at the end of theday.But move over traditional. There is a new brew in town. Craft beer is becoming more in demand and successfully integrated in the cocktail scene. This doesn’t mean the demise of the cocktail, just a remake. 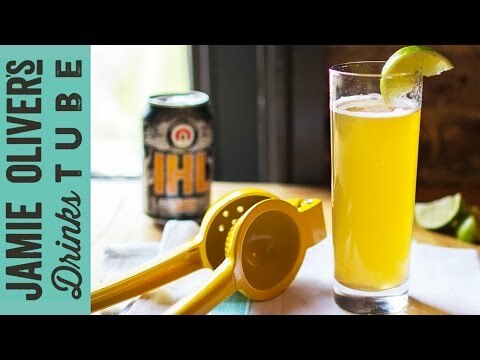 Beer cocktails are becoming widely held alternatives to the common cocktail and even the mixed drink.Just in case you are not clear on cocktails, craft beer and combinations thereof, we’ve done the legwork and delved into the details for you. Not to be confused with mixed drinks, cocktails are built with a base and two other layers of flavors. The typical base consists of the hard stuff like vodka, whiskey or tequila. The next layer includes fruit juices or a wine like wine Vermouth. The final layer consists of a bar syrup like Grenadine to enhance the cocktail flavor. Ingredients are not the only key requirements for making a great cocktail. Minglingof components and drink presentation are also important, even a great expectation of sorts. Correct proportions are measured in terms of jiggers and the cocktail can be mixed or stirred, albeit a cocktail shaker is pretty much the norm.In terms of appearance, the perfect cocktail glassware, combined with the appropriate garnishment is not to be missed. Garnishments include fruit slices and cocktail sticks. Nix the conventional way of big brewers in favor of small batch artisan recipes and you’ve got craft beer. Small breweries are making a name for themselves with cult-like fans and followers. What’s the fuss about? Well craft beer can bring unique flavor to the game to the benefit of rabid patrons, being able to test and try new flavors and ingredients better than the big guys. Plus, these micro-breweries can go what the consumers are, setting up shop in the communities of the target audience. Plus, many a beer lover is finding the satisfaction of brewing their own. A new twist on cocktails is the trend of beer cocktails. With the popularity of craft beer, adding it to a cocktail recipe was just a matter of time. Like a regular cocktail, a beer cocktail mixes with a spirit, fruit juice or other flavonoids to render a specialized beverage.Craft beers are perfect for this makeover as various beer flavors can be combines with other cocktail ingredients suitable for a variety of tastes. Be warned that any combination won’t do. There is an art and science to mixology and bartenders are wading in to debut their favorite concoctions.Cocktails and beer brewing are being made over in a good way. Recipes are changing and artisan beer is making a huge splash. That’s good news for ever changing taste buds in search of fresh takes on old favorites. Fixing a Garage Door: DIY or Hire? Are there benefits to buying t-shirts online instead of at a bricks and mortar store?